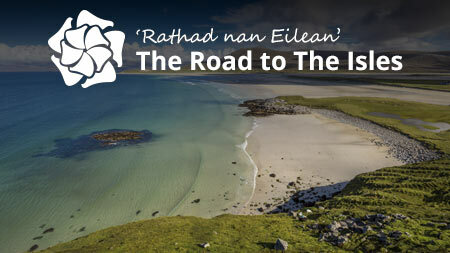 Walking - The Road to the Isles is a veritable paradise for walkers of all grades from the start of the ‘Road’ and the grandeur of Ben Nevis to the famous Local Heroes beach of Camusdarach at sea level. There are many walks which you can take by yourself in and around Mallaig, Morar and Arisaig. The Road to the Isles Marketing Group in conjunction with Angus MacIntyre, former local Ranger, has produced a booklet of 15 walks with maps, full route descriptions and printed in waterproof ink – just in case! These walks range from a gentle 20 minute stroll along the Silver Sands at Morar to a full day trek from Borrodale to Kinloid. The walks brochure is available throughout the area for a nominal charge. Ask at your local accommodation provider for a copy. A pdf version of the walking guide is also available below! Mallaig E Bikes - Offer the latest in Cube E-Bike technology for an easier way to explore the great outdoors in Mallaig, Morar, Arisaig and Armadale (on Skye).